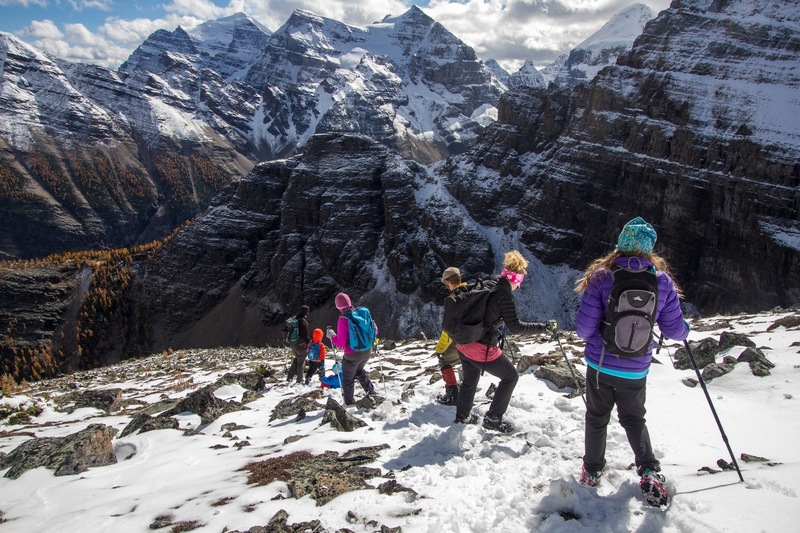 We hiked up Mount St. Piran at Lake Louise in late September and it felt like we were tackling a winter summit. There was much more snow on top than we had anticipated and were we to repeat this same summit now, there would already be avalanche danger. This was our 7th "first family summit" that we did this summer for a grand total of 10 family summits completed by the end of September. 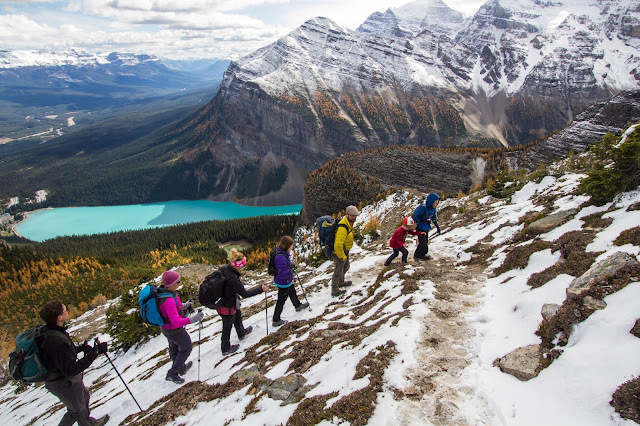 Mount St. Piran is located at Lake Louise and is one a few "hiking summits" located here where you'll be able to pretty much keep your hands in your pockets the whole time. There's no actual "scrambling" involved in getting to the top and you'll follow good hiking trails much of the time. 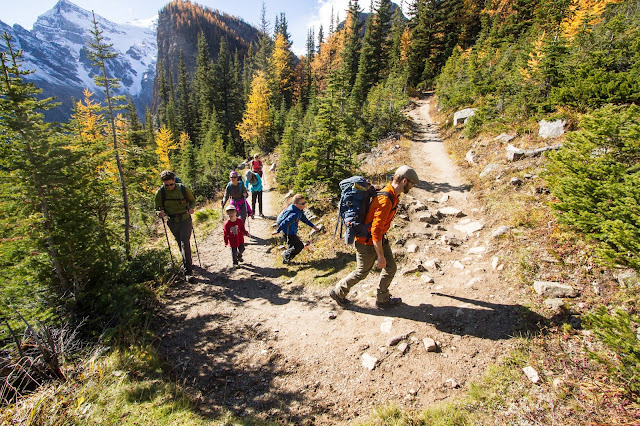 Unless you're crazy enough to descend the back side with kids (and yes, you know we are that crazy,) it's a very easy hike with no technical difficulties. 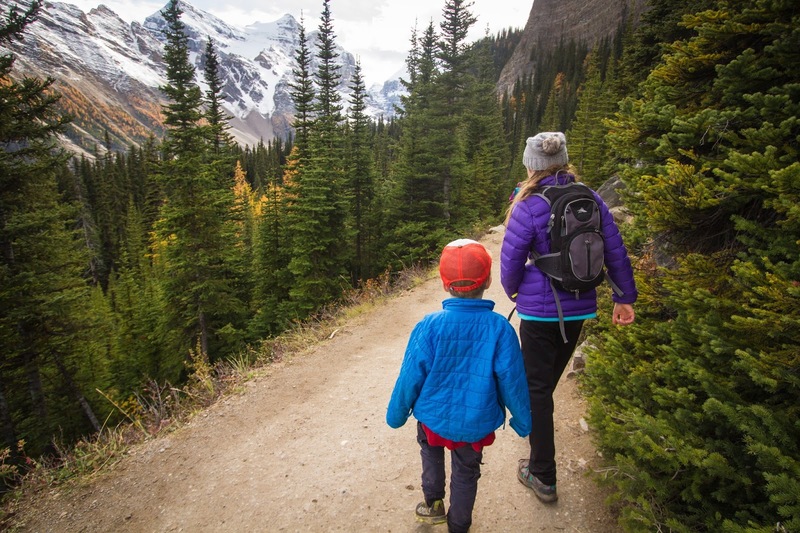 Your kids just have to be able to hike up 900 metres of height gain. The hike starts on the heavily used Lake Agnes"tourist trail". This is probably the least enjoyable part of the trip and the trail was way too busy for our liking, even in September. At the 3.1 km mark you turn off for the Little Beehive Trail and follow this much less traveled path until you come to the junction for the St. Piran Summit Trail. The Little Beehive viewpoint is at the 4.2 km mark but you don't hike the full distance. You'll turn off about 500 metres before reaching the end of this trail. Along the way we started to get our first views and we began to see larch trees around us. We'd see more as we climbed higher up towards St. Piran. The Little Beehive is reached after climbing up 500 metres. This means that you have roughly 400 more metres to go when climbing up to the summit of St. Piran. And this is just a rough guess because you don't go all the way to the Little Beehive "summit." There is definitely 400 to 450 metres of height gain ahead of you from this point though. And you'll want to pull out the candy here because the trail gets steeper! We came to the signed junction for the St. Piran Trail about 100 metres before the end of the Little Beehive Trail. The Piran Trail is not an official parks trail but is still well maintained and is well switch backed for most of the distance. 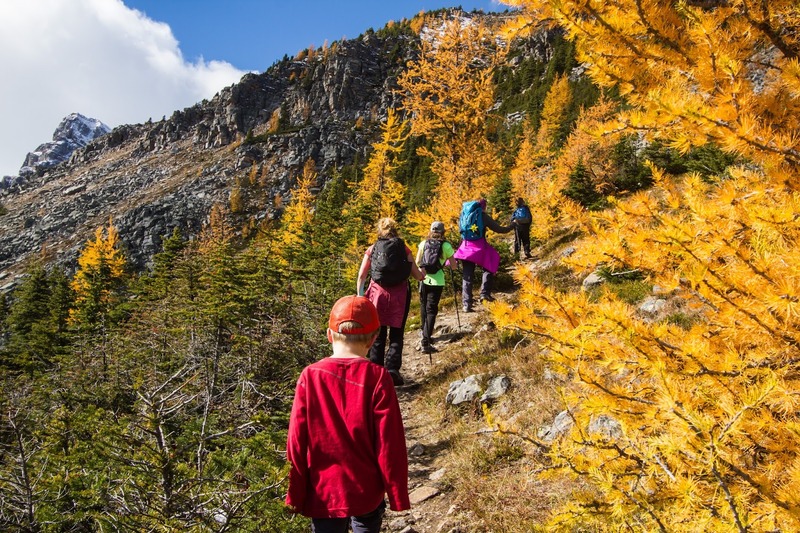 Views open up over Lake Louise and the whole valley and it's positively magical when the larch trees are golden. And the views do help take the mind off of the climbing. We followed good switch backs all the way up to the St. Piran shoulder and the snow was very manageable so far. The trail had been packed down by hikers ahead of us and so we had a very good path to follow. We didn't need ice cleats or spikes. We stopped briefly at the shoulder to take some photos and to contemplate the snowy slopes ahead of us. The gloves definitely came out. For our crew, the hiking was easy going until we got to the shoulder. From here, we had to traverse the ridge up to the summit on snow slopes that were a big slippery. The snow was also a lot deeper than we had expected for late September (and not packed down at all.) The boys also weren't entirely prepared in their light hiking shoes or trail runners. Fortunately they did have rain pants and we all had gloves, toques, and warm layers of clothing - all of which we needed!! We didn't spend a lot of time on the summit because it was freezing cold up here. There was also deep snow drifts that came halfway up to my knees. We took our photos, had snacks, and proceeded to make our way off the mountain. Note that there was no avalanche danger yet but should you attempt this hike now in November, there would be significant risk. We love loops, ridge walks, and traverses. It was therefore a no-brainer that we'd attempt to do the traverse of St. Piran, coming down the far side to the back of Lake Agnes. Normally, the traverse is "relatively" simple and straight forward but the slope is steep (very steep,) not fun when it's snowy (not to mention avalanche prone if too snowy,) and route finding is required. I've done this descent many times as has my husband so we felt comfortable with taking a more original way down rather than following the same trail we'd taken up. Also, we knew there was not enough snow for avalanche risk yet. In the end, I "almost" regret coming down this way because the snow made the descent very sketchy and tricky. It was slippery and the snow covered up holes in the rocks. Our son, Noah slipped numerous times when he'd fall into a hole and twist his ankle or hurt his knee. It wasn't fun in the slightest descending the steep slope and I think almost everybody in our group fell at least once. Fortunately, we made our way to the Niblock/Piran Col and then things started to improve (slightly) as we got on a rough dirt trail. If muddy this section can also be slippery though - and it was muddy. Overall, it was a much harder descent down the back side than I had remembered pre-kids. The walk through the valley towards Lake Agnes was also very pleasant (and is why I always choose this descent route.) You see nobody else when hiking this secret little valley and you won't meet a single other day hiker until you reach the junction with the Big Beehive and Lake Agnes. There are a lot of fun rocks to scramble on at the back of Lake Agnes (if you haven't been hiking for 5+ hours already.) For us, we pretty much just continued going once we reached the lake. We reached the crowded and touristy tea house at Lake Agnes. We didn't stay long because it was hard to be in the midst of so many people after being alone on the trails all day. We had some quick snacks, fed the kids their final sugar, and then proceeded to run down the stairs for the trail home. The final descent was a quick trail running affair, boys running down the trail hell bent on reaching Lake Louise. 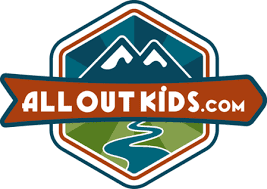 It took less than an hour to reach the lake and the kids passed many/most adults on the trail. We just tried to keep up. 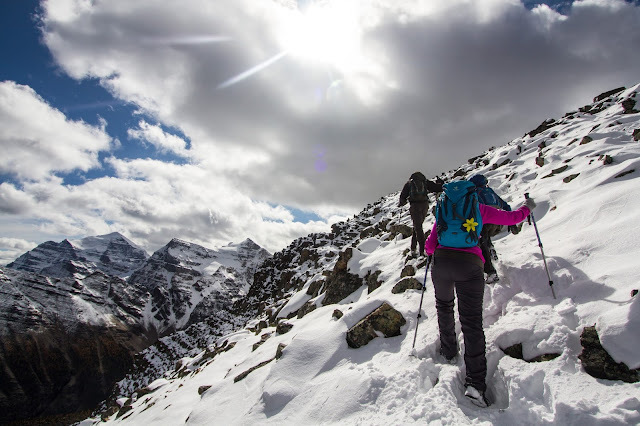 Special Safety Notes with "Winter and Shoulder Season Summits"
As mentioned, St. Piran is exposed to avalanche risk and you shouldn't climb it when there is significant snow if you are not prepared or trained for traveling in avalanche terrain. 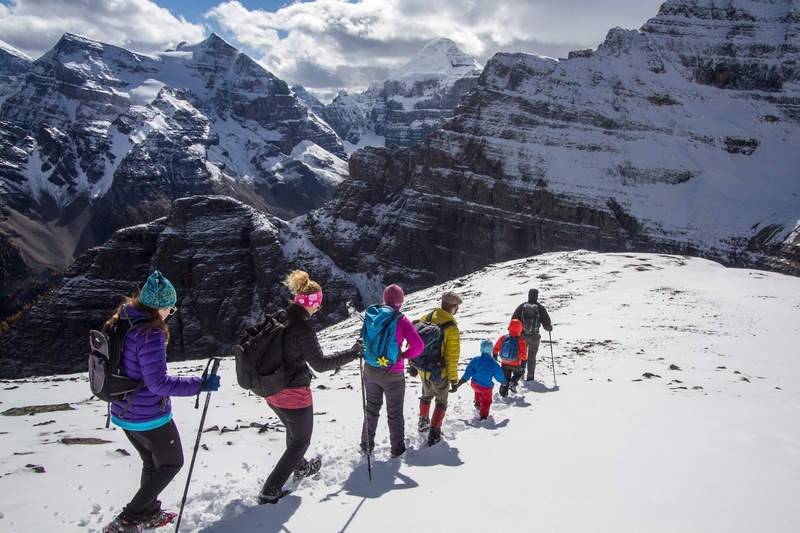 Right now it is advised that you check with an information centre in the mountain parks before attempting any summit in the Canadian Rockies. 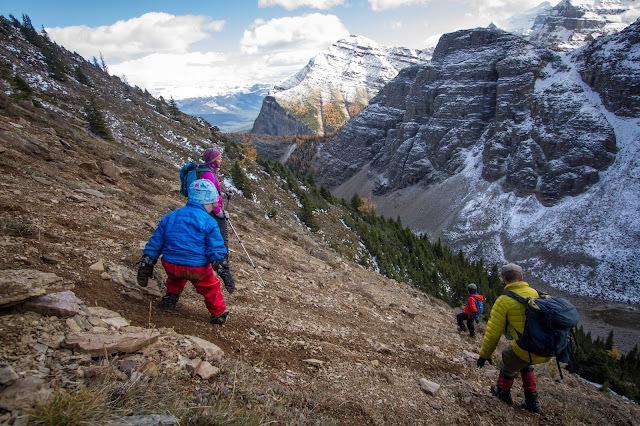 Traveling into avalanche terrain with children is not something I advise or practice. Note that many/most summits you'd just calmly walk up in summer can and could have avalanche risk. So always ask and do your research before heading out! 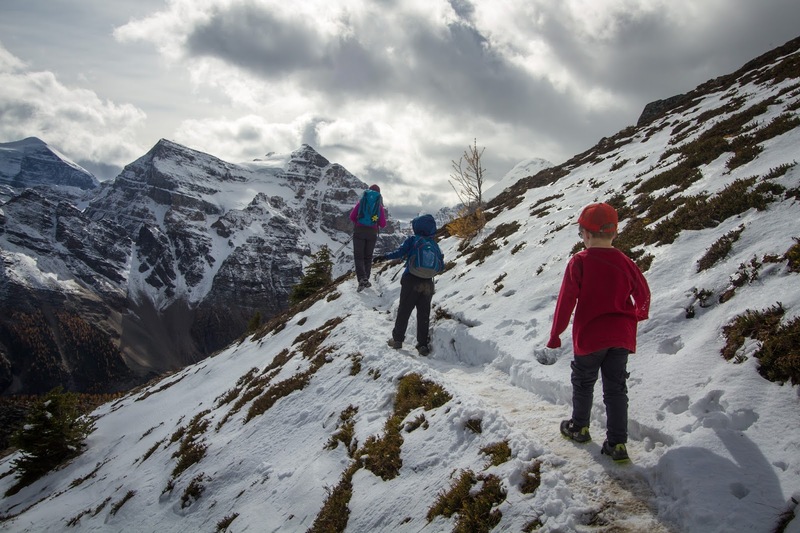 As far as gear, our kids should have had winter boots on for this particular hike. Ice cleats or spikes. I like Kahtoola Micro Spikes personally. Emergency gear in case something goes wrong and you have to wait overnight for a rescue. This should include a headlamp in case it is dark when you descend the trail. Note that this list is not exhaustive. It's just a few top items that come to mind. 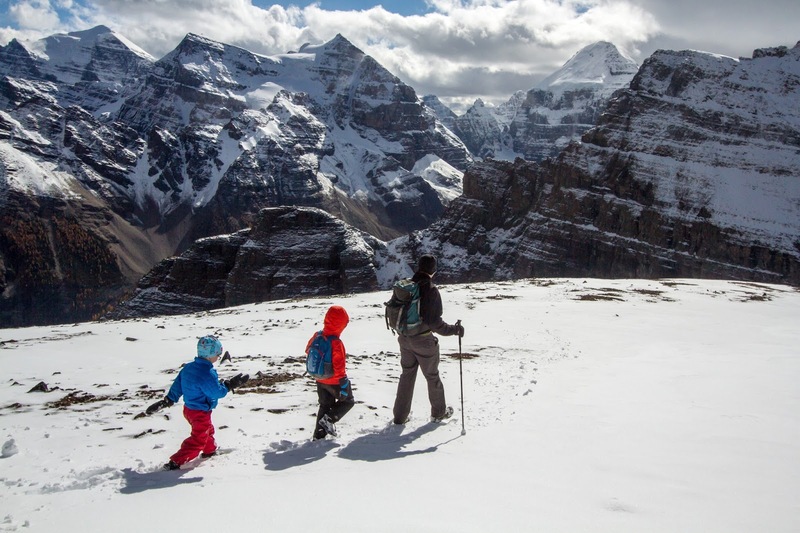 Another good read is First Summits - Tent Ridge Horseshoe, Kananaskis. 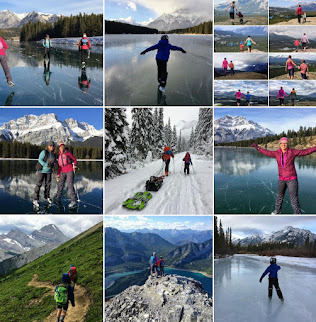 To read about some of our other summits this summer check out my previous story on the East End of Mount Rundle. It has a lot of reflections in it, learned over the summer. 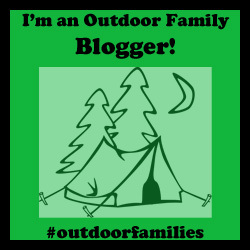 It also has a complete link at the bottom to all of my "First Summits" posts. Big thanks to Megan Dunn for collaborating with me on this with amazing photos. You can find her on instagram or at her blog here. Just completed this with my family, there has been still some snow past the shoulder. however snow or no longer we went to the summit ridge, however wind saved use from getting to the actual peak. Will do once more and wish for higher conditions on pinnacle.